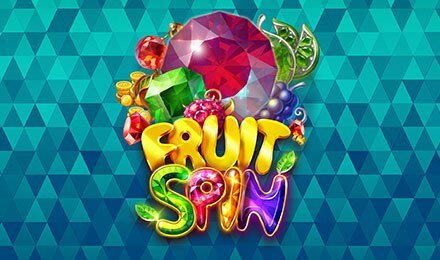 Created by the well-known game provider, NetEnt, Fruit Spin slots can award up to 120,000 coins! Isn’t that tempting enough to want to try the game? Hold no longer! You can have a good time on this slot game anytime at Moon Games on either tablet, mobile phone or laptop! Are you ready? Watch the nicely designed 5 reels and 40 paylines, which will simply plunge you into a lovely atmosphere. The symbols which will accompany you on the reels are: 7 Bar, Triple Bar, Double Bar, Bar, Cherries, Lemon, Grapes, Orange and Strawberry. Even if these are classic themed symbols, they have been designed in the most modern way! When the game is activated, the reels will roll and you can catch a win when 3 or more identical symbols line up on the reels. If you want to admire the pretty graphics of the game, you can make use of the auto-play feature. This enables the automatic gameplay of few games; you can choose from 10 to 1000 automated game rounds. Bet Levels: You can select from 1 to 10 on the Bet Level Tab. Amount of Paylines Selection: The 40 paylines are fixed on this slot game, and cannot be changed at any point.. Coin Values: Toggle the Bet Field button to adjust your bet from £0.10 to £1.00 by using the + or – buttons. During the base game and the free spins round, all the symbols appear as stacked. Only the wild and scatter do not get converted in stacked, at any point. Depending on whether you’re playing the base game or the free spins round, a number of symbols will appear as overlay wild and stacked. When 3 or more scatters are seen in any position on the reels, the Lucky Wheels Feature is launched. You will be given one spin of the lucky wheel for each triggering scatter. You can be rewarded with coins or the free spins round. There are two ways of triggering the free spins round. It can be either when 3 free spin symbols are seen on the lucky wheel or when 3 wild symbols are seen on the reels during the base game. Either way, you are awarded 5 free spins and you can win additional free spins for further wild or free spins symbols.